Family owned and operated since 1985, we serve Buffalo and Western New York. We are proud to provide the best in home health care from the best of people. Consumer Directed Care (CDPAP) is care for YOU, controlled by YOU. Through Consumer Directed Personal Assistance Program (CDPAP) the patient or their Representative can hire and train almost anyone as a personal assistant to provide care to the participant. Home Health Care is a very important part of everyday life for many people in Buffalo and WNY, and they need home health aides, companions and home nurses that are compassionate and strive to make a difference in their lives. We are proud to say that is exactly what Health Force provides our clients. Good personal care and home health aides are highly valued not only by Health Force but also by our patients. Home Care is a rewarding and passionate career. 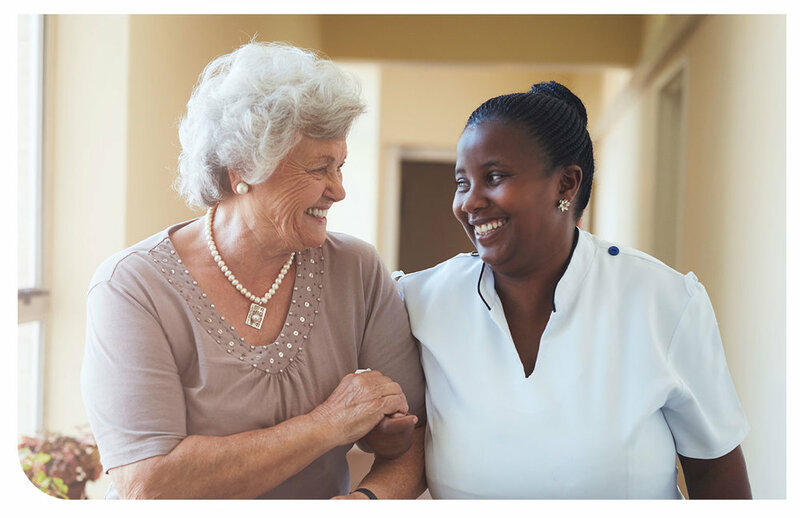 New York state recognizes the importance of these positions through their program "Heroes in the Home" which honors home care nurses and aides for the essential work they do. We are always interested in hiring passionate and caring people. Please call us at 716-855-2273 or apply online today! Join Our Force - Apply Now! Make a difference (and still have a life). Flexible schedules. Rewarding work. Coworkers that are like family. There is more than one reason we’re voted best place to work year after year. We have a place for you here. Health Force knows how difficult navigating through deciphering homecare, assisted living and insurance plans to find what fits you or your loved ones' needs can be overwhelming and confusing. so everyone in your family can rest easy. Health Force is a family owned and operated full service home health care and community care agency serving the residents of Buffalo and Western New York. Your family is important to you and you want a company that respects the needs of your individual situation. Health Force is just that. We tailor each client/aide relationship to ensure the best match and client satisfaction, and provide personalized services with people who know each community and strive to treat your family like their own. We hold a license from NY State that is required in order to be able to provide "hands on" care. We give baths - help get dressed - anything that requires the aide to "touch" the patient which means our aides have undergone extensive training for any where from 45-75 hours as well as on going training to keep their skills sharp. Approved to provide services thru Medicaid - which has stringent regulations and requirements in order to provide care for their recipients. We are stronger together. Join our force.